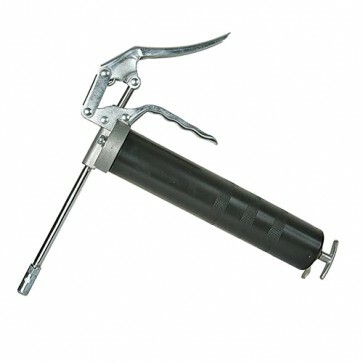 Brand New Grease Gun Trigger Action Heavy duty steel grease gun with die-cast aluminium head. Coupler and rigid extension tube. Reversible plunger, bulk or cartridge loading. Single handed operation. Accepts standard 400g grease cartridges. Compatible with Silverline Grease Gun Delivery Tube (633868).